Hello, everyone! I hope you are all having an amazing day. I had to send off Matt this morning on storm-call. He does line work (electric poles) and since there have been storms literally all of the eastern part of country this week, his crew had to leave today so that he can keep the electricity on. Literally the worst part about his job. I can't seem to ever escape the wind (obvi) or the humidity in Tampa. Off the shoulders are going to be all the rage again this summer so you might as well get stocked up. 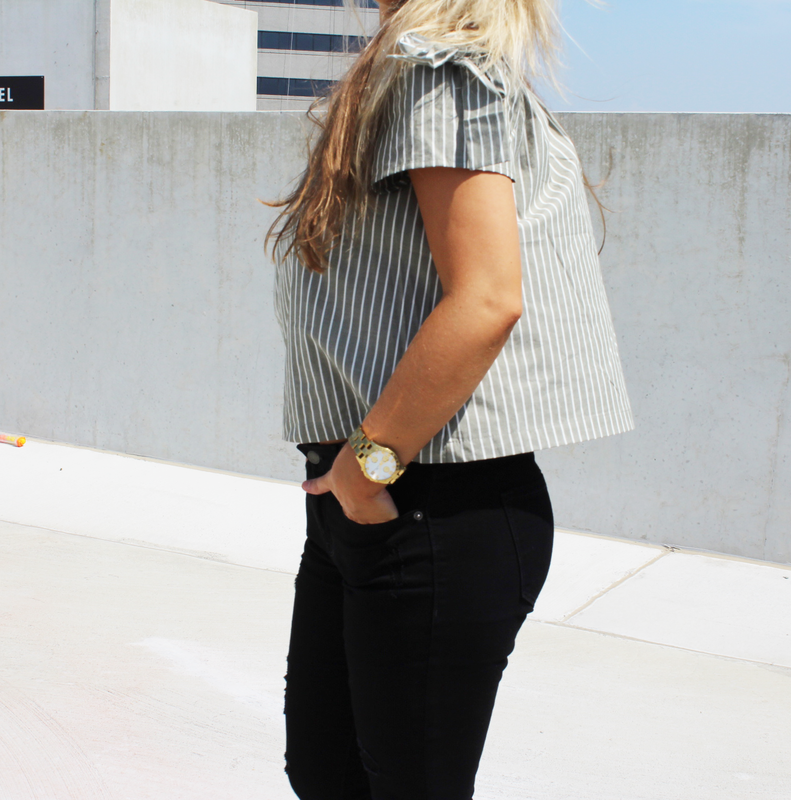 I'm usually not too crazy about stripes on me but this top was a must have. I love the bow details on the sleeve and you can tuck it in for a more put-together look. I know all of us each have our holy-grail jeans but I cannot seem to part from the Old Navy Rock Stars. They are just the perfect fit and so comfy. 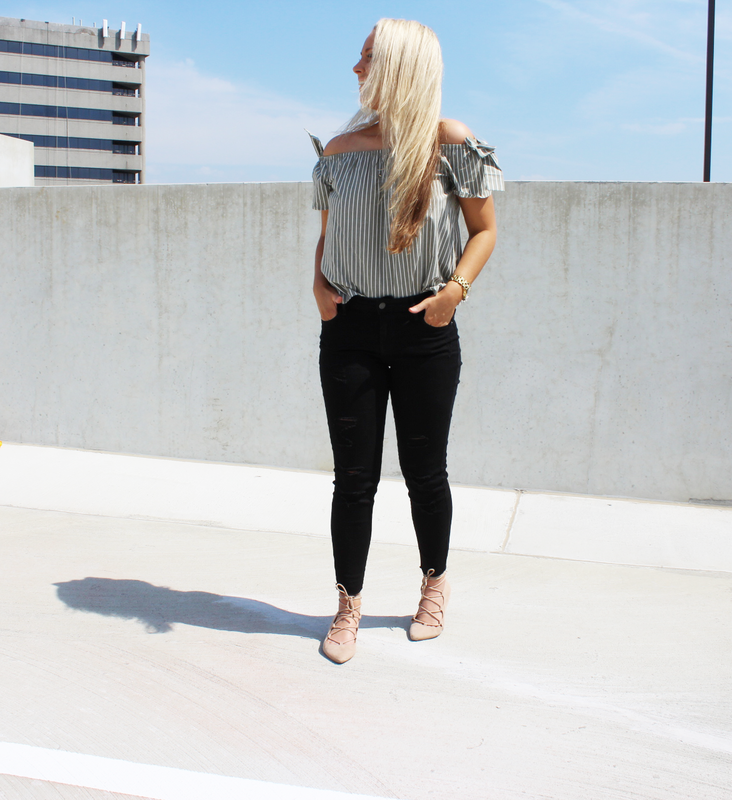 My entire outfit is linked below as well as the lace, powder blue top I posted on Instagram today.